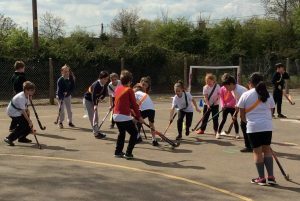 On 3rd April we held an inter-house hockey tournament for years 3, 4, 5 & 6. We played in teams of 6 – 8, with children from each year group in each team. Everyone tried really hard and had great fun. The joint winners were Yellow and Orange houses.